A new research paper co-authored by a City economist is attracting worldwide attention and was the subject of an article in The Wall Street Journal. 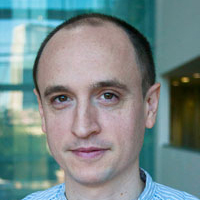 Professor Gabriel Montes-Rojas is one of three academics behind a study that shows there is a link between national monetary policy changes and decisions by investors to withdraw their money from investment funds. It was found that sudden actions by central banks, such as the US Federal Reserve, can have significant effects on the behaviour of investors and this can result in financial instability in bond and equity markets. The authors analysed data from the Investment Company Institute on the flow of money into and out of bond, stock and hybrid mutual funds from 2000-2014. They discovered “persistent outflows from funds investing in the bond market” in reaction to interest-rate increases by the Federal Reserve that exceeded expectations. It is argued this “run-like behaviour” can mean investment funds need to sell other assets in order to pay investors, which can trigger price changes in associated markets and further selling. The findings had been predicted by economists but had not been documented before. The paper has been inside the top ten most downloaded papers on the Social Science Research Network for several weeks. Professor Montes-Rojas, of the Department of Economics, wrote the paper with Federal Reserve Board economist Ayelen Banegas and Lucas Siga, a professor at New York University Abu Dhabi.